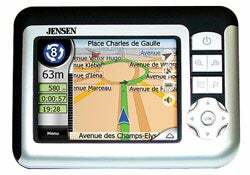 One of the questions people often ask when they buy a GPS navigator is: Will it work if I take it on vacation in Europe? Usually, the answer is long and complicated and costly. "Yes, if you go to the retailer site, buy a disc or a download of the Euro mapset, find your GPS's USB cable, load it up, then pray you did it right when you get into your rental car at Orly."